Busy days in La Plata. 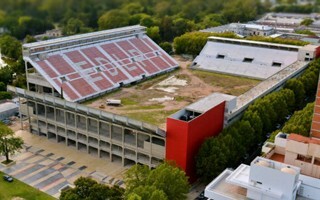 As Estudiantes continue to play games at Estadio Único but the club is also continuing efforts to deliver the reconstructed ground at 1 y 57. Private boxes are already glazed while masonry work continues in the press area. All concrete terracing of the stadium is being sealed and waterproofed. Meanwhile, Estudiantes continue with contracting work for further works. Possibly the most important deal recently is teaming up with Philips Lighting to deliver Argentina's first 100% LED lighting system. With up to 80% energy saving compared to traditional halogens, this contract will boost the football team's effort to create a truly sustainable stadium. With one grandstand in the east already having seats, contractor was selected for all premium areas of the stadium. Folding chairs for private and semi-open lodges will be delivered by Chinese firm Avant Sports. All of these seats will be topped by new roof atop the west stand, which has been awarded to Empiro SA (Roinich). 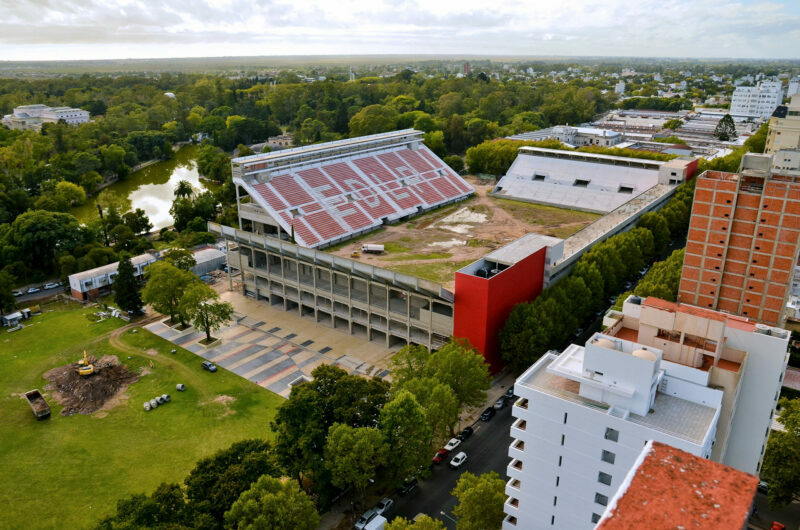 Also, local Colegio de Arquitectos was appointed to help craft a mobility and accessibility plan for the stadium, with improvements expected to be implemented before and after the stadium's structural completion.